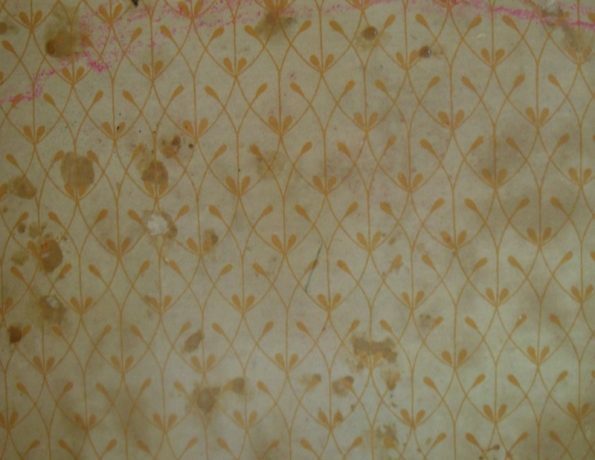 Below are pictures of wallpaper I have found in my Triang Houses. Some are of whole rooms, some are just pieces I have scanned. 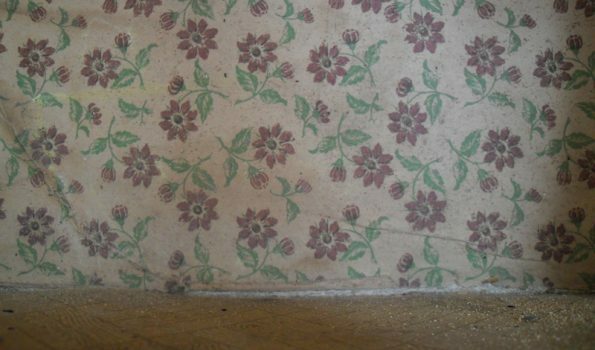 Many of my Triang houses did not have any wallpaper, or were badly damaged. 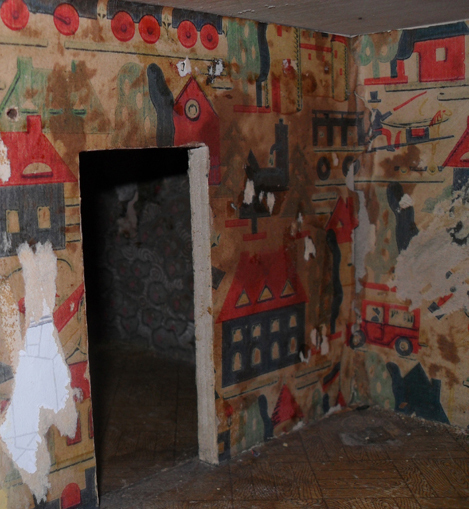 The inside of this house has its original wallpaper, and is in quite good condition. 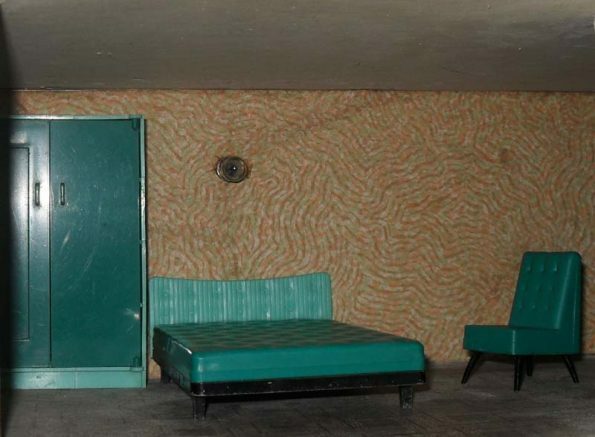 Bottom left room, a cosy lounge containing my Barton furniture. Bottom right room, all the floor papers were good in this house too. Top left room with stairs going up, this as with the next pattern are quite large. 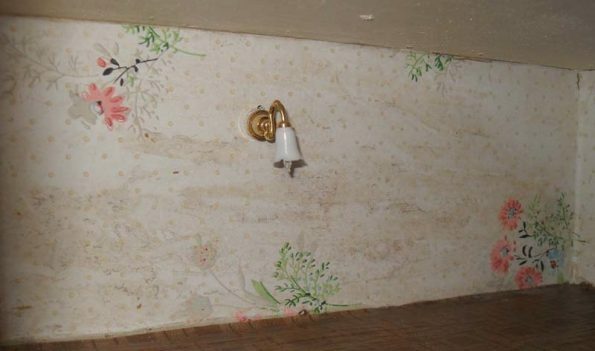 This is the other of my houses that had wallpaper in good condition, it even had the original curtains at the windows. Top room, which is a bedroom. 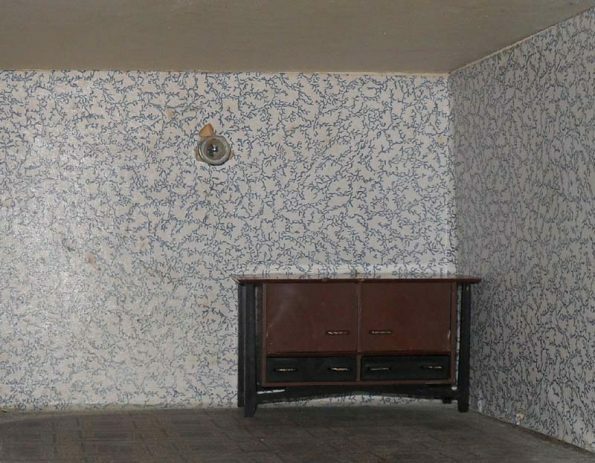 Bottom room, a very pretty blue wallpaper, the floor paper is also in good condition. 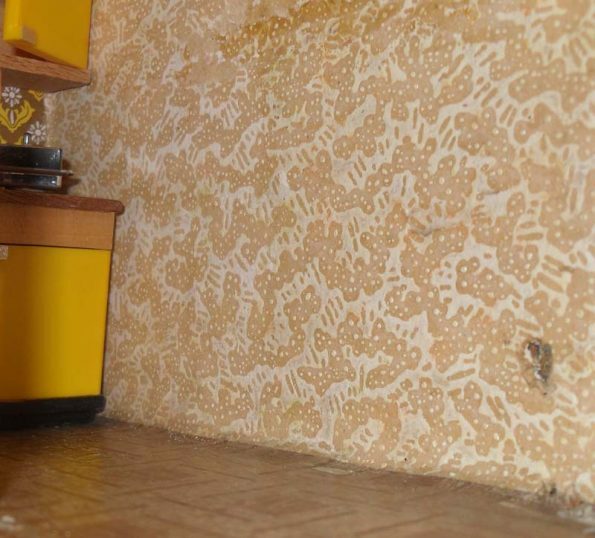 This house had a lovely selection of wallpapers, but the house was suffering from very bad woodworm. 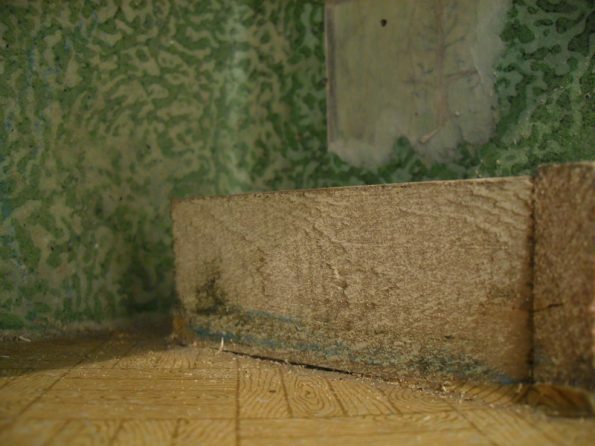 The woodworm treatment I used had some sort of oil in it and this meant the papers on the walls could not be saved. 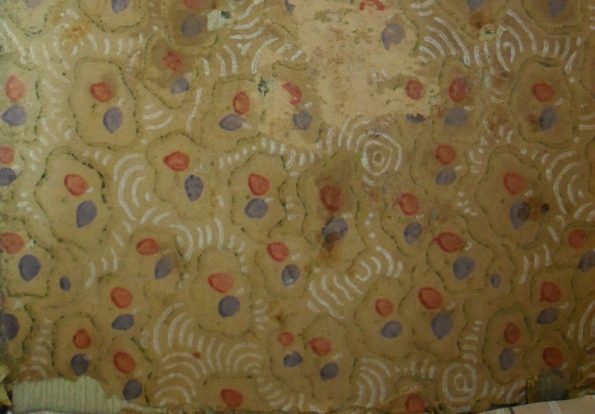 The picture above is taken with a camera, the same wallpaper below has been scanned. 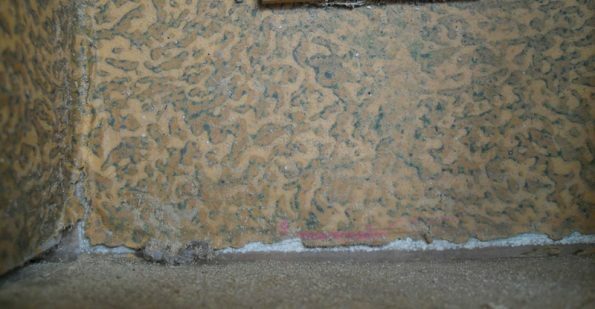 The picture above is the same as the larger picture on the left, you can see the woodworm holes. 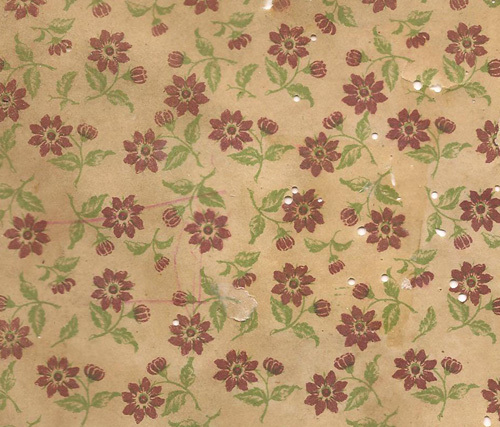 Below is the same wallpaper I have reproduced. 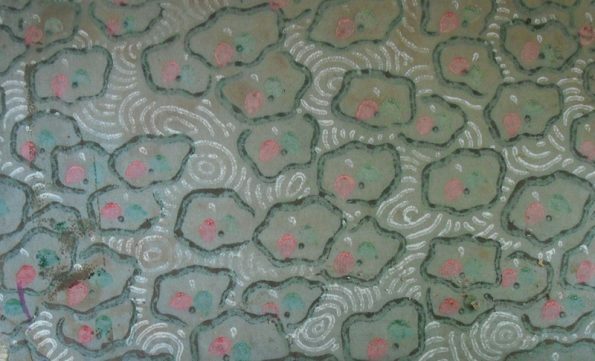 The next two patterns are a variation of brown and green. 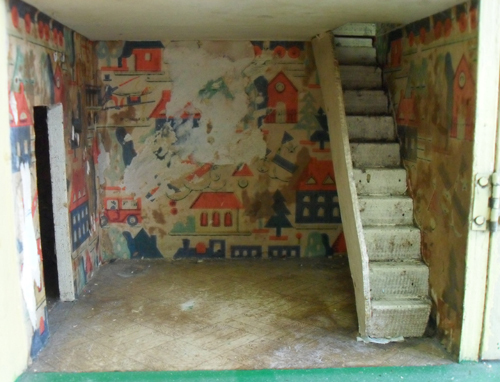 It must be remembered that these houses were toys, owned by children who like to decorate with crayons, pencils and lovely colourful stickers. They must have had great fun in this house. 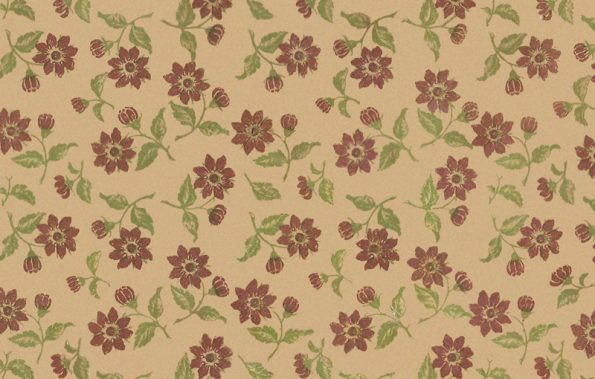 Below is the wallpaper I reproduced. 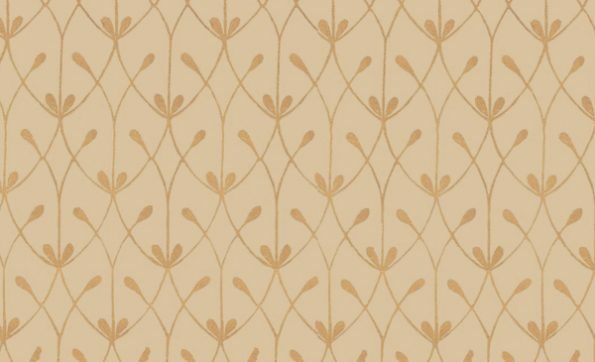 I have tried to reproduce this wallpaper as it appears in many different colours, but it is a very random pattern and has a texture which I am having difficulty with. 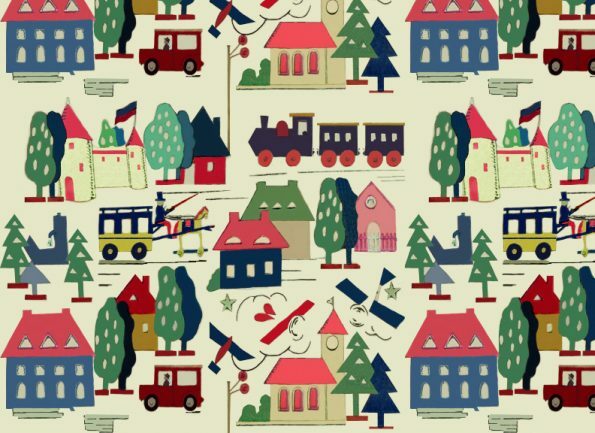 The pieces of these wallpapers and not very big, and it is a bit like putting a jig saw puzzle together. 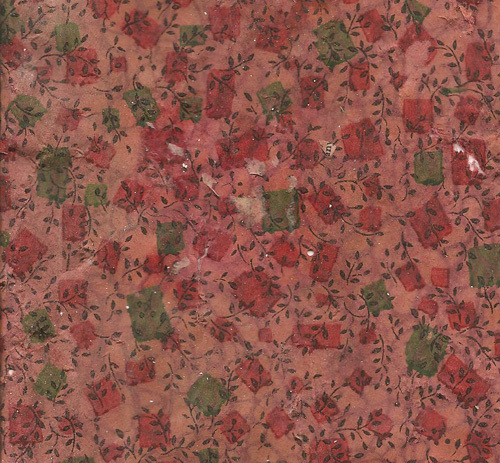 Below is the wallpaper I have reproduced. 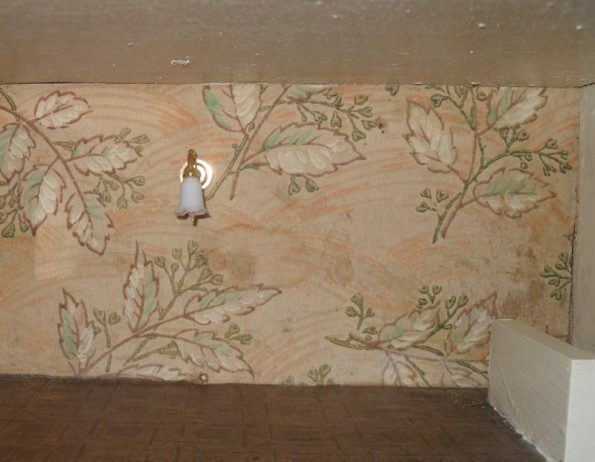 It is very sad that out of twelve Triang houses I own, ten of which should have wallpaper, the only examples I have are the ones above. 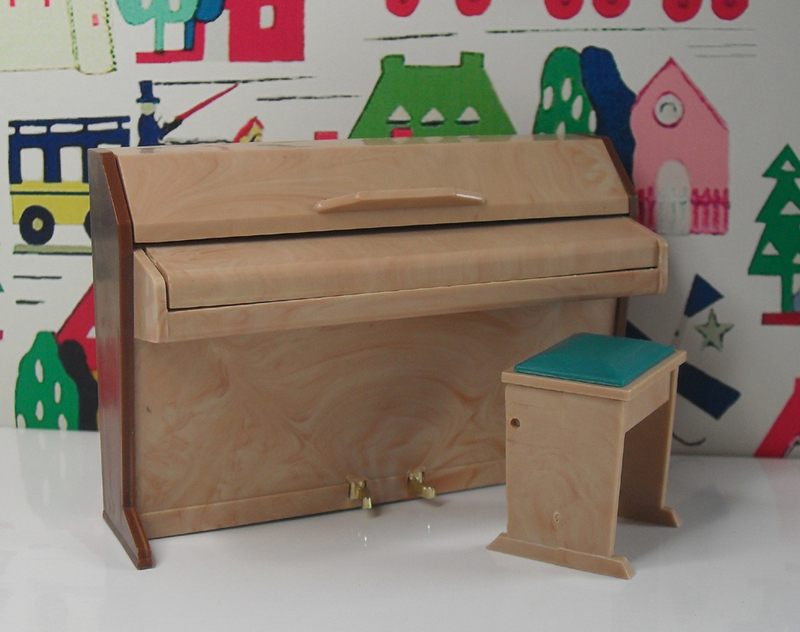 A visit to the DOLL’S HOUSE PAST AND PRESENT web site is well worth a visit. 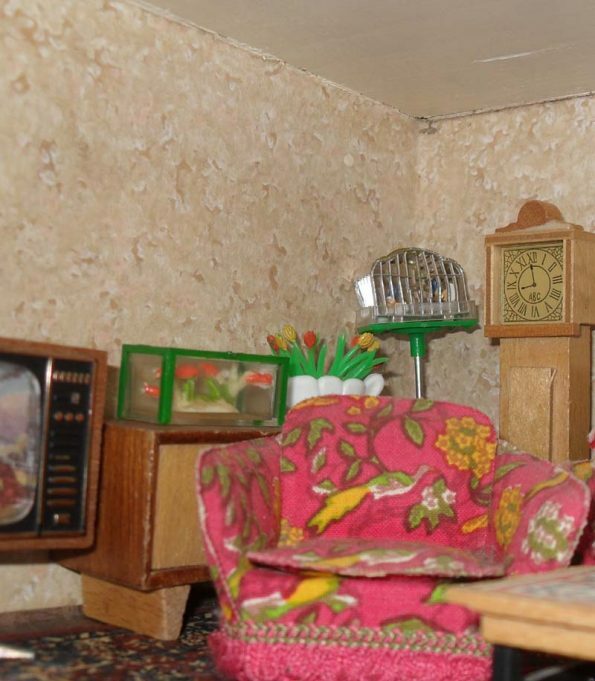 It is a useful resorce for information on various makes of Vintage Doll’s Houses and Miniatures. There is a great Photo Gallery where members post pictures and a Forum where members discuss various topics. 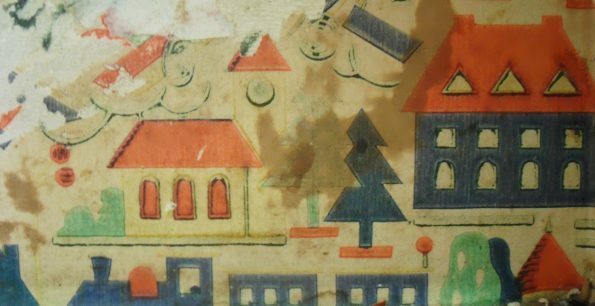 I use this site a lot and would recommend anyone with an interest in Vintage Doll’s Houses to visit. I look forward to the online magazine they issue four times a year, [March.June, September and December] containing articles written by members, on various subjects. This site is FREE to join. The Price is £5 per A3 sheet. UK postage and packaging: £2.50; international postage on request. Visit my Pintrest Board to see the wonderful selection of papers Trevor has on offer.